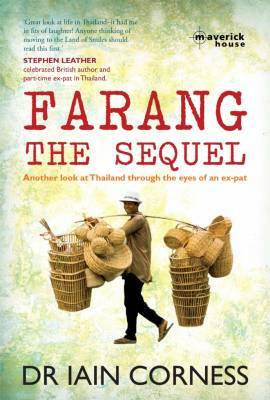 Farang: The Sequel is the long-awaited follow-up to Farang, which became an instant bestseller upon its release in Thailand. Iain Corness fell in love with Thailand in his youth and moved there permanently in 1997. As a settled farang, or foreigner, he enjoys a unique perspective on Thai life and all its eccentricities; looking in from the outside while also getting to see things most foreigners don’t.